In 2012, the Chicano Studies Research Center was awarded the first diversity award presented by the Society of American Archivists. 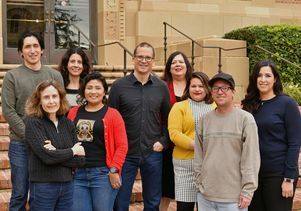 The UCLA Chicano Studies Research Center received the 2019 Excellence in Diversity Award from the College Art Association. The association is an international leadership organization dedicated to the promotion of equity and inclusion within the arts and honors artists, art historians, authors, curators and critics whose accomplishments contribute to the profession and to the world. The Excellence in Diversity Award recognizes efforts by individuals or institutions in projects and scholarships that advance diversity, equity and inclusion. Throughout its 50-year history, the Chicano Studies Research Center — one of the UCLA Institute of American Culture’s four ethnic studies research centers — has advanced diversity in the arts through scholarship, museum exhibitions, archival collections, public programs, community partnerships, professional development and policy-related research and advocacy. It is one of the oldest ethnic studies research centers in the U.S. dedicated to the study of the Mexican-descent population and home to the largest library and archive in the world of materials pertaining to Mexican Americans and Latinos. For more information, visit the Chicano Studies Research Center’s website. 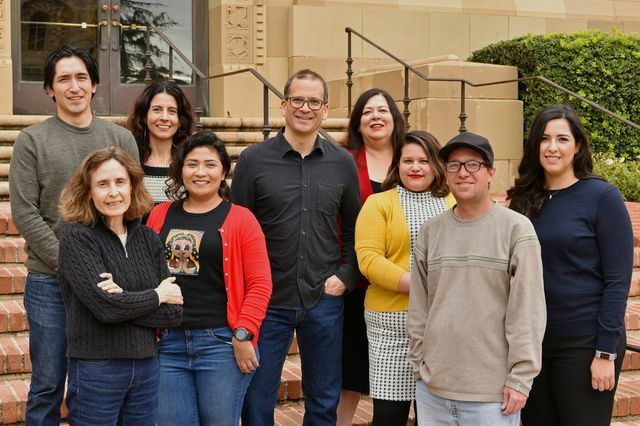 Chicano Studies Research Center staff photo.